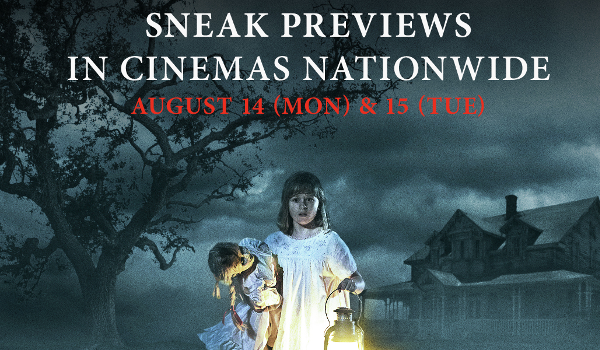 The year's most eagerly anticipated horror thriller, New Line Cinema's Annabelle: Creation, will hold whole-day sneak previews in most cinemas nationwide on Monday and Tuesday, August 14 and 15. The good news is - tickets will be be regular admission prices. Warner Bros. Philippines has previously organized a media and fan screening on August 7 which coincided with the celebration of International Doll Day. Fans showed up with their own dolls to mark the occasion.